Having suffered back-to-back defeats in South Africa and England, India began the Test series against Australia in earnest, winning the opening match Down Under for the first time in over seven decades. 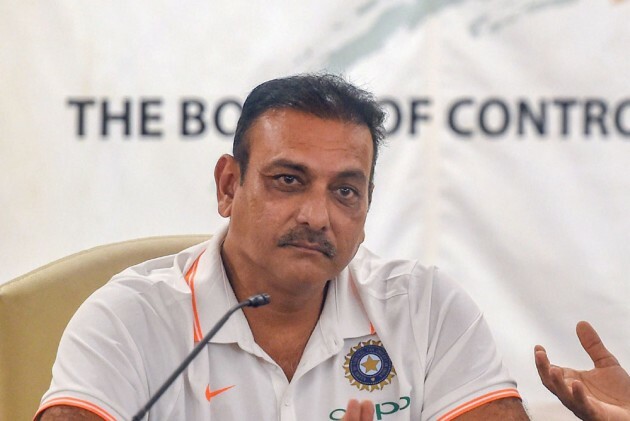 Head coach Ravi Shastri on Monday said Indian players need to rest after winning an opening match of a Test series in Australia for the first time in over seven decades. After setting a 323-run target, India dismissed Australia for 291 in 119.5 overs shortly before Tea on Day 5 with Ravichandran Ashwin, Jasprit Bumrah and Mohammed Shami taking three wickets each for a 1-0 lead in the four-match Border-Gavaskar Trophy series. After the match, Shastri said that player "have to rest up, to hell with the nets. You just come there, mark your attendance and get away to the hotel. We know the Perth track is quick, it's a drop in the surface, there will be something there for the fast bowlers." The second Test at Perth starts on Friday (December 14). "We lost the first Test in England by 31, lost the first Test in South Africa by 60-70, so this is a very good feeling for the boys to come out on top. When you get off to a good start, there's a belief," Shastri said. A collective performance by the four-man Indian bowling attack – pacers Ishant Sharma, Jasprit Bumrah, Mohammed Shami and spinner Ravichandran Ashwin – helped India earn 15-run first innings lead before they completed a rare win in this part of the world. The coach also said he was hopeful that players had learnt from their mistakes in the first innings and commended Man of the Match, Cheteshwar Pujara, for his knocks in both the innings. "There was some rash shots played in the first innings, that was foolish cricket, but they learnt from it. Pujara was absolutely magnificent, we've asked him to be a little more upright to counter bounce in these conditions." On youngster Rishabh Pant, who equalled the world record of most catches in a Test by a wicketkeeper, dropping the catch of Nathan Lyon, Shastri said: "You have to allow him to play his game, but he has to be a little more sensible now. "He did the hard work in getting Lyon to spread his fields, so he has to be smarter. You make a mistake now, but don't repeat it, then I'll be in his ears."